The aim of this study was to determine the prevalence of otitis media with effusion (OME) in primary school children in Rize (Eastern Black Sea Region) and the impact of tobacco smoke exposure in the development of OME in primary school children. This study involved a total of 2960 children who appeal for ENT examination to our department at Rize Training and Research Hospital between November 2007 and April 2009. All children were evaluated with regard to OME and exposure to cigarette smoke. 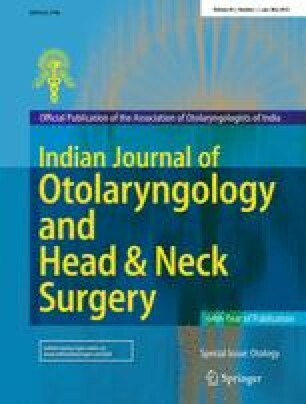 Pure tone audiometry and tympanometry tests and pneumatic otoscopy were performed on the children who were diagnosed with OME by otoscopic examination. The association between the children diagnosed as OME and exposure to cigarette smoke was evaluated. The prevalence of OME in this study was 9.86% (292/2960). Exposure to cigarette smoke was a statistically significant factor in development of OME (P < 0.0001). Environmental factors such as smoking are important in the development of OME. To prevent delayed diagnosis or development of this disease, parents must be informed about the preventable risk factors and symptoms for the development of OME. There are no potential or actual competing interests between the authors.